“Bike-N-Bright” (Zachary Hanson-nanosystem engineering, Andrew Rigley-nanosystem/industrial engineering, Andrea Harris-management/entrepreneurship, Karen Rispone-nanosystem engineering.) Bike-N-Bright is a lightweight, easy-to-use, minimal-maintenance bike light power supply system incorporating well-known technology into bike lights. “EZ Read Monitoring” (Fran Ewing-management/entrepreneurship, Ryan Frick-mechanical engineering, Rhodes Moran-mechanical engineering, Vincent Moore-management/entrepreneurship.) EZ Read Monitors are easy-to-use devices that can wirelessly transmit water level data to customers. “GoJoe Brewing Co.” (Maryanne McClure-management/entrepreneurship, Krishna Patel-management/entrepreneurship, Austin Weatherall management/entrepreneurship, Zach Belton-mechanical engineering, Cullen Pearce-mechanical engineering, Tyler Wilk-mechanical engineering.) GoJoe is an internally powered coffee brewing system that will become your highly favored traveling companion through routine commutes or serious adventures. “Healing Movement” (Sierra McGraw-management/entrepreneurship, Logan Evans-management/entrepreneurship, Abdullah Nammari-nanosystem/electrical engineering, Dustin Savage-nanosystem/chemical engineering, Seth Doughty-nanosystem/Micromanufacturing.) Healing Movement is a self-powered device designed to be placed inside a dental implant screw to produce electric stimulation to the jaw to promote bone growth around the implant. “IntelliPace” (Bharat Karumuri-biomedical engineering.) IntelliPace is an embedded software module that enables programmable implantable brain stimulators to stimulate with high therapeutic efficiency and fewer side effects. “Limitless Weight Lifting Rack” (Evan Puckett-management/entrepreneurship, Zach West-mechanical engineering, Seth Anderson-mechanical engineering, Jon Soenksen-mechanical engineering, Giovanni Aviles-mechanical engineering.) Limitless is a system created to allow free range of motion during weightlifting, while providing safety to the user by implementing sensor technology to detect when the user is in trouble and automatically lifts a safety bar to take stress off the user. “Oceanergy” (Efuare Okougbo-construction engineering.) Oceanergy is an electrical generation design that generates megawatts of electrical energy through wave turbines. The New Venture Championship competition is an integral part of the Enterprise Campus’ focus at Louisiana Tech. TOP DAWG events give Louisiana Tech students, faculty and alumni the opportunity to work together and develop innovative ideas into real businesses. The New Venture Championship also showcases intellectual properties developed by Louisiana Tech researchers and students. Participants promote new technologies as well as create non-technology based ventures. Judges for the TOP DAWG New Venture Championship include Michael Leachman, partner with Jones Walker; Blair Suire, associate with Jones Walker; Ammen Jordan, City of Ruston; and Adam O’Neal, business development/commercial portfolio manager for Origin Bank. The judges will rate the teams on the written decks, oral presentation, and business feasibility. The total prize package is $8,000 with the College of Business and College of Engineering and Science funding a total of $5,000 to be awarded to first, second, and third place teams. The Innovation Enterprise Fund is sponsoring a $1,000 award which will supplement the prize money given to the first place team. The $2,000 Jones Walker Entrepreneurial Spirit Award, funded by Jones Walker, recognizes the team with the most entrepreneurial spirit. Jones Walker LLP has grown over the past several decades in size and scope to become one of the largest law firms in the United States. Jones Walker serves local, regional, national, and international business interests in a wide range of markets and industries. Today, they have approximately 390 attorneys in Alabama, Arizona, California, the District of Columbia, Florida, Georgia, Louisiana, Mississippi, New York, Ohio, and Texas. 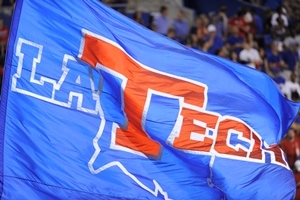 For more information on the TOP DAWG New Venture Championship or related TOP DAWG events, contact Debbie Inman at (318) 257-3430 or debinman@latech.edu.